Copyright 2009-2013 www.cameronhighlandsinfo.com All Rights Reserved. 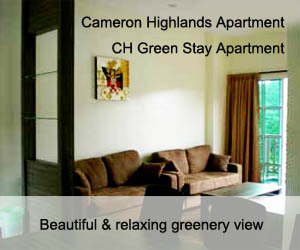 Search About Cameron Highlands Now! Get to know their weapons, tools, musical instruments etc. 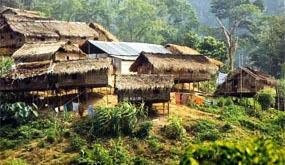 Observe the traditional bamboo huts built only with bamboos, wood and palm leaves. A short walk around the village with our guide will reveal some of the medicinal plants used by the Orang Aslis. 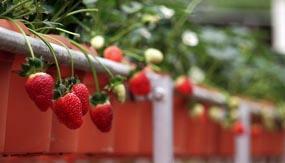 There are a number of strawberry farms in Cameron Highlands. Always worth a visit for their novelty value and the chance to taste strawberries and ice cream! Some strawberry farms will let you pluck your own strawberries and charge you according to the weight. 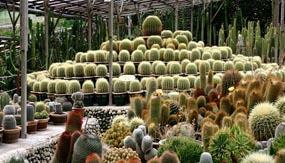 Newly built tourist attraction with numerous types of cactus on show. Its hillside location makes for interesting viewing of the cactus and other placnts which include Strawberries, Roses, Apple & Peach trees, Orchids, Cherry Tomatoes etc. 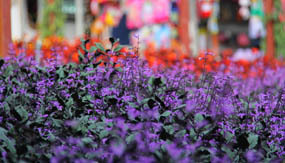 The Lavender Garden is the latest addition to the multitude of farms in Cameron Highlands. As we drive along the road, it is impossible to miss this impressive sea of flowers and possibly the most massive one too in Cameron Highlands. 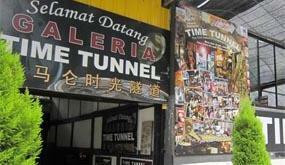 Time Tunnel, was a museum featuring Cameron evolution since its pioneers to today. 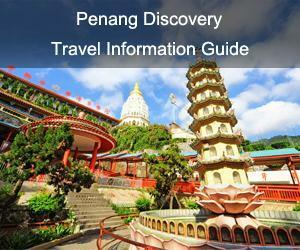 If you want to know more about the history behind Cameron Highlands. Photographs that depict the past are from personal collections of the locals who have been there since the pre-war days. You may also find out some familiar items from the old days. 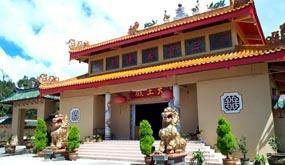 Large, ornately designed Buddhist temple built high on a hill overlooking Brichang town. Can be found by turning first left out of Brichang towards Tanah Rata, and driving slowly for 1km along a narrow back road.